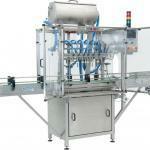 Are you looking for a bottle filler with a high product output for an attractive price? 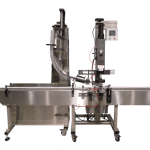 Counter pressure 4 head micro carbonated bottle filler fills 24 bottles / minute. Talk about fast! 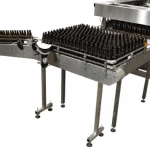 The Single-head automatic chuck screw capper and plastic-top cork applicator system will sort and apply caps and corks to rigid containers at nominal speeds of 30-40 containers per minute. Wanting a dual label system for your bottles? 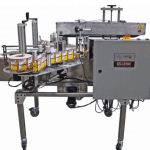 Designed to apply one or two body labels to round containers. Labels can be clear. 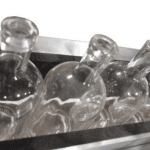 The RSC Bottle Rinser is an economical and easy way to rinse or air clean bottles prior to filling. Introducing the hot stamp coder, inkjet and thermal transfer coder we offer a tamper proof solution to your coding. Production line bottlenecks a problem? Need additional in-line storage capacity? 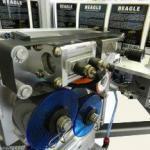 Check out our Conveyor and Rotary tables.